We already know that Mario Kart 8 enjoyed an exceptional launch, selling 1.2 million copies worldwide in its opening weekend. In an analyst meeting behind closed doors, it seems that the title has seized the honour of, initially at least, outperforming its 3DS predecessor. 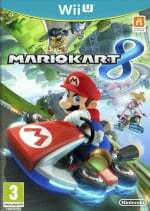 An attach rate of 18% for Mario Kart 8 in three days is certainly impressive, compared to the 7% of Mario Kart 7, especially bearing in mind that the kart racer arrived in late 2011 on 3DS against the context of struggling sales for the portable; it did have Super Mario 3D Land for company, of course. The fact that Mario Kart 8 sold 200,000 more copies than its predecessor over the launch weekend is eye-catching, but most pleasing is the figure that it provided a substantial hardware boost. These are figures for North America, though of course we've seen hardware boosts in Japan and the UK, too. Great news for Wii U and Mario Kart 8, and it'll be interesting to see the momentum of both through the summer months, in particular. Not surprised in the least. The game is amazing. Much better than MK7, IMO. Now.. a huge DLC season pass please with lots of missing veterans, more new comers, two-four more retro cups and 10+ actual battle arenas, split between new and old and I'm all set! Evergreen title! 5 million by years end and I hope that means over 10 million Wii U's sold. Excellent news. There's good reason for the high rate of sales: this is the best Mario Kart in years. Oh yeah! Great sales first week for both game and console. "...especially bearing in mind that the kart racer arrived in late 2011 on 3DS against the context of struggling sales for the portable; it did have Super Mario 3D Land for company, of course." I might need further explanation on the point being made here: how are sales not struggling for Wii U at the time of MK8's release? And Wii U also has Super Mario 3D World for company, as well as other titles. It sounds as though we're being told that the MK7 attach rate is lower than that of MK8 because of these factors, but they don't seem to differentiate the situations in my mind. Help? Good start, lets see how the rest of 2014 plays out for the Wii U. @mjharper MK7 came out when 3DS had been out for 8 months. Mario Kart 8 came out when Wii U had been out for 18 months. A bigger and more mature userbase ready for MK8. The 3DS really had been doing pretty badly up to that point, even after the price cut. And Mario Kart 8 is the better game of the two, no doubt about it. Can't beat racing with a Wii Wheel. Luigi saved the Wii U. He deserves another year. Sales rigged... know why? Free game offer thats why. TD;LR PS4 is king, Wii U used IRL Action Replay for sales. Well deserved, it's right up there with the first Mario Kart for me. Now we need continued MK8 support with an expansion pack. Marketing games goes a long way. That free game was a nice too. @JQuest Thanks you just helped to confirm that I'm sick of the death stare images, couldn't you find a different one rather then posting one that has already been posted? Anyway this is good news but Nintendo need to make sure to capitalize on this momentum and not let it die. Don't mess it up now Nintendo. @MinecraftGreek both. I wouldn't of did whatever I could to get the game ASAP had Nintendo not done the free game offer. I have all 4 games from the offer anyway, but still. IRL AR FTW! @Player4 I asked a few people who I saw buying a Wii U, they said they were getting it early because of free game offer. @PS4 That must have been somewhat creepy for them. The free game offer lasts until July 31, thats still 1 1/2 months away, there wasn't any rush. I still haven't redeemed mine, waiting for July 1 as I'm already plat for this year on Club Nintnedo. And I would have bought it day 1 or 2 or 3 anyway - had my $5 Target pre-order GC before the announcement - but that free offer had to help some people on the fence. Whenever I'm inTarget I see WW HD in the case for $49.99 and think I'm getting that for free. But there was no rush w/ the offer other than - "well I can get it day 1 or months later in July so might as well buy it now." In my head MK should sell better on a home console than a handheld, its' all about couch mutliplayer. My one kid traded MK7 in, my other kid isn't sure if he still owns it or not but he didn't like 7 or DS too much. MK8 should sell well for awhile. Half of all new Wii U owners will probably buy it for the next year or so. @JaxonH - "MK8 boosted WiiU sales 4.1x week over week"
I agree there. Nintendo could have limited the offer to the first month, making you register the game during this Nintendo Year. But I will register it in July for the very same reason. Of course the free game offer pushed people to buy it right away, but the videos showing how beautiful it looked and the reviews mentioning how fun it was to play also helped. I don't consider myself a MK fan but I got the game day 1 and I am loving it. I'm thinking that the Mario Kart 8 bundle helped a lot. But I'm afraid this momentum won't last long unless we get a solid release date for Smash on Wii U. It needs to be in late November at the very least Nintendo! Awesome! Let's hope Ninty can keep the momentum going after dominating E3. Great success! @sinalefa - " I am loving it." I was loving it too, 31 of 32 1st place my first time thru using the Gamepad to steer - I came in 2nd to Peach in Bowsers caslte, I was this><close. Then I went on line to play in the NL tourney last weekend and I got spanked. Need way more practice before I do that again. Maybe after I finish 100 and 150cc. But yeah it's a great game. 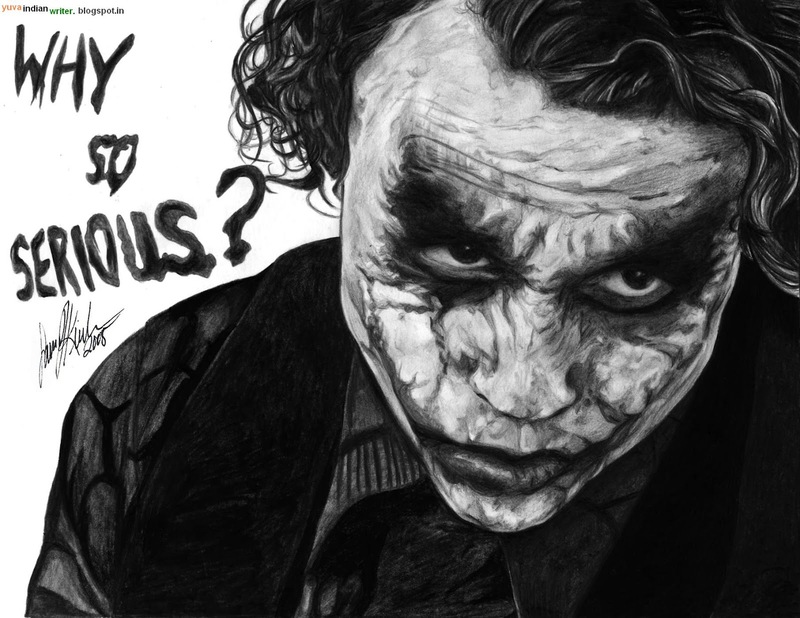 @JaxonH - "he's out of his mind"
What does that have to do w/ anything? I know, we already discussed the weekly vs yearly increase, but how often do I get to type "quadrupled"? And how often do I get to be right about anything? Hyrule Warriors may not sell many Wii U, but as far as I'm concerned its a multiplayer Zelda game and it has a date (Sept 26) and price and even a video on Amazon. That and Bayonetta is a whole lot of action for 1 autumn. Wii U should continue to sell throughout this holiday season. Only games not listed yet are STEAM, Star Fox U, Mario Maker, and the two Miomoto projects on Wii U. Me though, I pre order from Best Buy for 20% off all new games. So I'll unfortunately have to wait to put in my pre orders. They're pretty bad, usually waiting until the last minute to list games for pre order on Nintendo consoles. Oh well. Impressive since the 3DS install base is much larger than the Wii U base. See Nintendo doing some good marketing pays off! @PS4 There will be people getting it later. Most people are holding off till the holiday when Smash Bros. comes out to get both games. If you aren't a Nintendo fan why are you even here? @JaxonH - How did you type all of that so fast, what do you have like 4 hands? No wonder you're so good at DKCTF. This is thrice Unsuprising/Suprising/awesme at the same time. I don't know what 2 say.....go WiiU. @PS4 It's called marketing, which Nintendo is supposedly bad at. Also... Really? Asking people why they get it? Since when do Nintendo's customers need to justify their harmless purchase to an obvious ps4 fanboy? @DJSmith99 what makes you think I'm not a nintendo fan lmao? Did you buy physical or digital? I bought mine on the eshop and already registered the code and redeemed the free game. The Star Points (I'm in EU) haven't been credited yet as I still need to complete the survey. But since you're not in a hurry, you can just redeem your free game on July. I think home console Mario Karts always sell better than the handheld equivalent, so I guess it's to be expected. @90sRetroGaming I couldn't agree more. The game is amazing. I normally don't support dlc, but... Bring on the dlc! I need more karts, kart parts and characters! It probably can't last, given that there's not really enough Wii U's out there in the first place for it to keep selling in entry beating numbers, but it's nice to see it doing well. "And how often do I get to be right about anything?" You must feel like Pachter then! @PS4 Free Game offer for a LIMITED TIME. You guys pay to get a free game every month or so. @sinalefa - Pachter's my hero I hope I'm right more than he is though. @PS4 - It's 2 months in the US and Canada (I don't know about the UK/EU) until July 31 to buy and register the game, you don't have to actually choose your game to get until Aug 31, and you don't have to redeem that code until Sept. 30. Wait, your name is PS4? Are you trolling me? @JaxonH - "Yep, good night"
If I was rude last night like an abrupt hang-up phone call my apologies, I was exhausted. @outburst - I bought physical and I have my code waiting to redeem on Club Nintendo in July. I'm in no rush to play WW HD, I waited 10 years, what's another month or 2? @PS4 In that one comment I replied to, you sounded like somebody who was just here to down play Nintendo's success. With a name like PS4 it is easy to make that assumption.